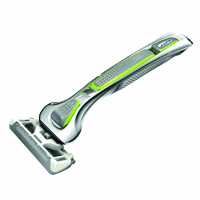 Dorco Razor is specially designed for women and comes with a bendable ‘double 3 blade’ format. You can have the chance to win 1 of 100 just by visiting Dorco's Facebook page and all you have to do is comment on their giveaway post. Click on “GET IT HERE” button and then follow instructions given above for a chance to win 1 out of 100 of these razors.